In which G.M. 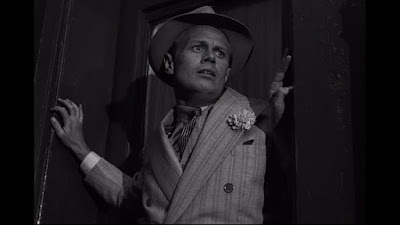 Norton looks at the Film Noir ne'er-do-wells. 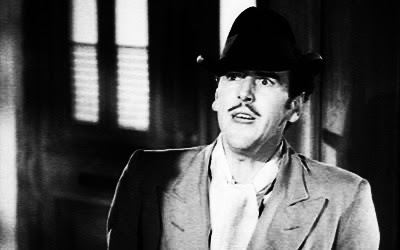 Since sporting a pencil moustache, I've become fascinated by the 1940s spiv. 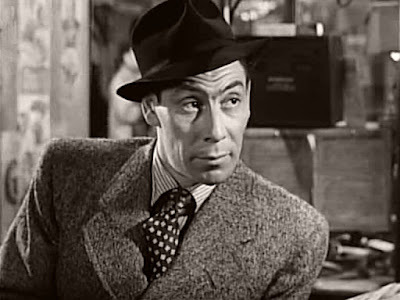 You know the fellow - hat at a jaunty angle; loud tie; even louder shoes and a pin-stripe suit with lapels so broad, they almost reach the shoulder seams. A dashing figure, he lives by his wits selling ration coupons, chocolate, cigarettes and nylons. 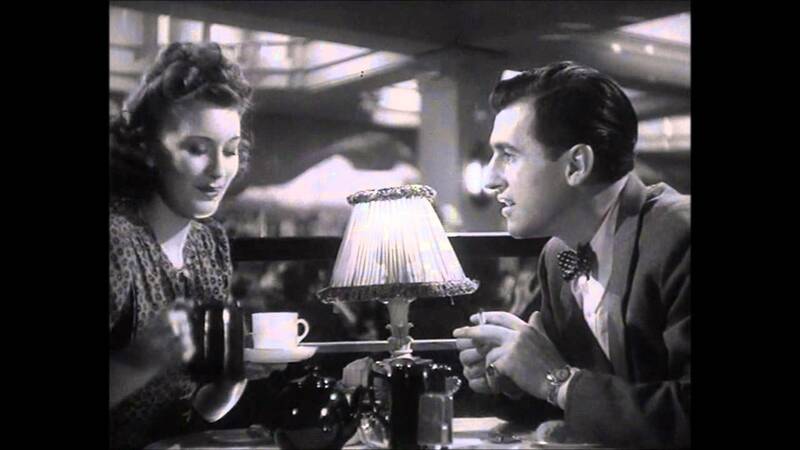 Yes, they're a small-time crook but they have a romantic charm about them. 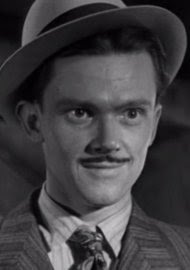 Of course, the likes of Flash Harry in the St Trinian's films and Private Walker in Dad's Army are two such loveable rogues that spring to mind. Before these over-the-top wide boys appeared, the spiv characters were a little darker when portrayed in post-war British films. Please allow me to introduce to you five such characters, some of whom you may already have met. 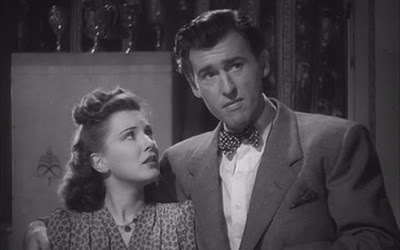 Ted Purvis, played with aplomb by Stewart Granger, is the cad out to seduce a soldier's pretty wife. 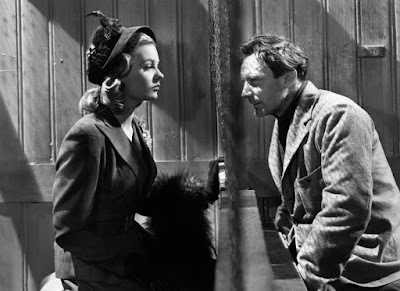 The soldier finds out and goes AWOL to put a stop to this war dodging romeo's plans. 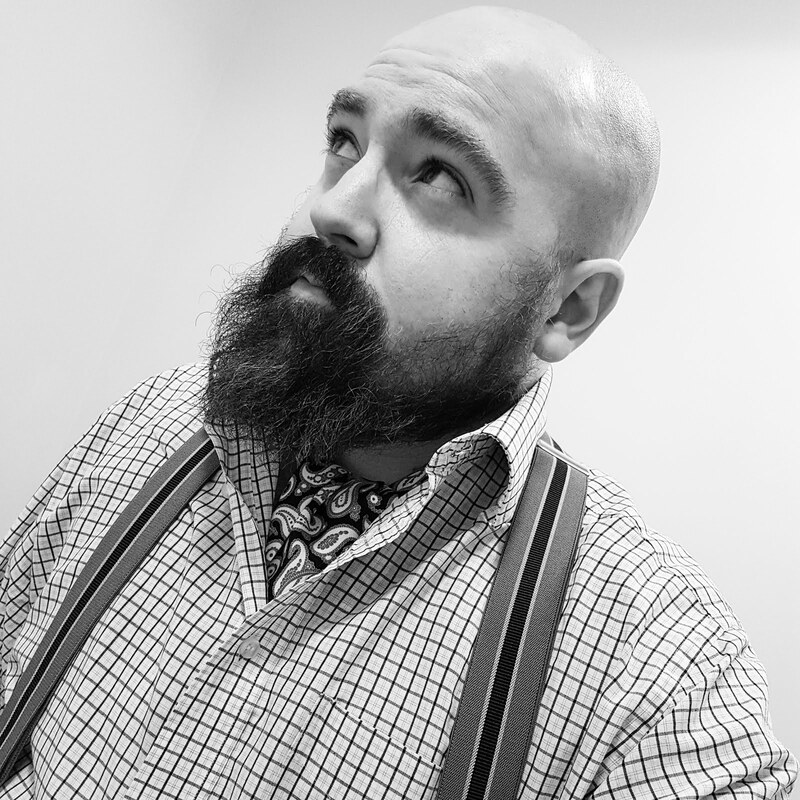 Note the bow tie, which is standard spiv attire. Pinkie is the small-time Brighton crook with psychotic tendencies. 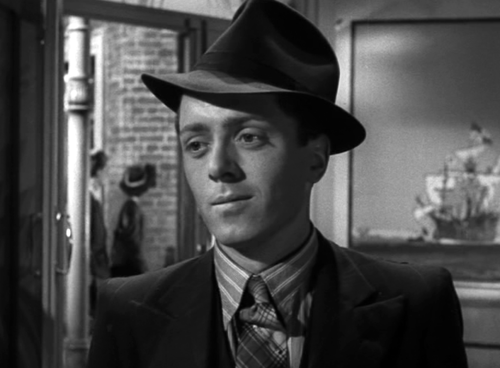 With an angelic face and eyes as wide as his lapels, Richard Attenborough plays the part of Pinkie with the menace and chill that the script deserved. A dubious bookmaker, played by John Slater, Hyams performs the spiv role admirably in tale of post-war austerity and hardship. Unlike Pinkie, Hyams has a good heart. This 1947 film follows the fortunes of Clem, a former RAF pilot who is now bored back on Civvy Street. 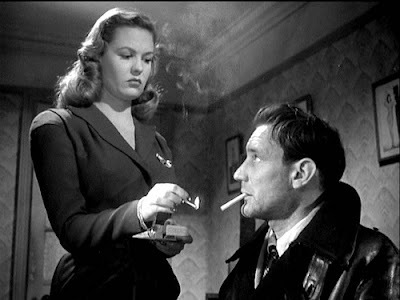 Played by Trevor Howard, Clem meets Narcy, a foppish but dangerous man who runs a smuggling ring. 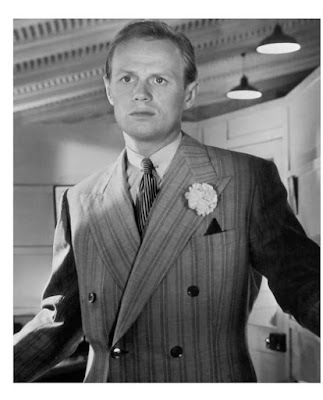 Richard Widmark played Harry Fabian, an American version of Del Boy, ducking and diving as he plots his next 'get rich quick' scheme. However, it's obvious to everyone that these grand plans will come to nothing. Are you worried about the lack of pencil moustache in all of this? 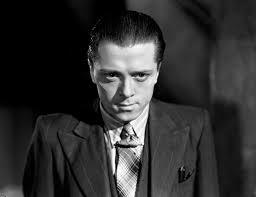 Fear not, here is a still of Nigel Stock in Brighton Rock. He also had a role in It Always Rains on Sunday. New shoes! As seen on monks!